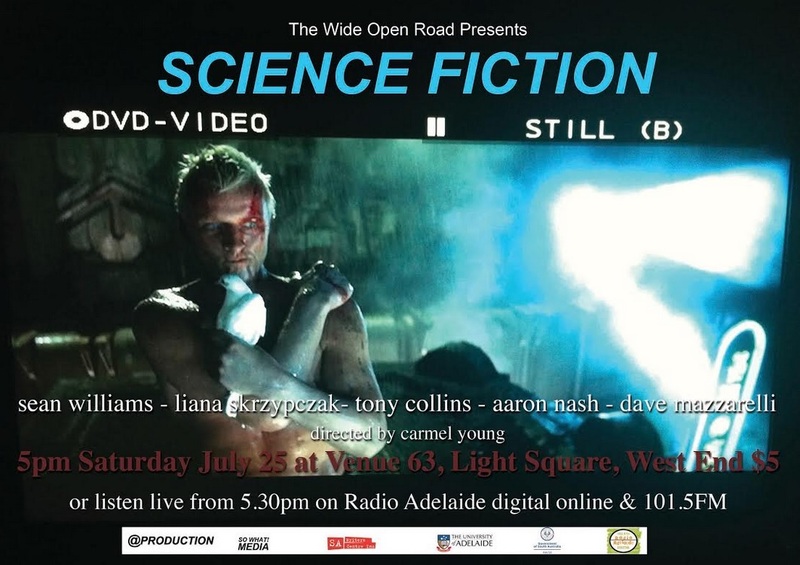 The Wide Open Road is a monthly broadcast featuring “writers, musicians and radio types” from a live venue in Adelaide, and on July 25 I was honoured to be among them. I read four pieces of flash fiction. Three of them, “This Empire’s Son“, “Artistic License” and “Tailgate Fume“, have been published before. The second one, “Tears of the Living Dead” is brand new. (It will be published soon. Hopefully.) I’ve never performed to live music before. It was awesome. Here’s the link to the podcast. Scroll to the bottom of the page and click the “Science Fiction” tab and press play. Do it for the excellent words of Tony Collins and Liana Skrzypczak, if not for mine. And for the dulcet tunes of Aaron Nash and Dave Mazzarelli!